LQM have been providing industry-leading training courses on assessing and managing land contaminated by organic and inorganic chemicals for over 2 decades, but land can also be impacted by ground gases (eg methane and carbon dioxide) and affected by organic vapours. Both of which can pose real risks to residents and workers if they are not adequately assessed and managed. In recent years there have been significant developments in our understanding of the risks posed by ground gases and organic vapours that can impact on redevelopment projects. This has resulted in a plethora of new guidance relating to the investigation, assessment, remediation and verification of gas-affected land. 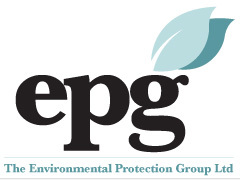 LQM have partnered with EPG Ltd, authors of several of the new guidance documents, to develop a new introductory course designed for beginners with little or no understanding or experience of sites impacted by ground gases and organic vapours. The course is intended to provide both regulators and consultants the opportunity to gain a basic grounding in the requirements of current British Standards and industry guidance relating to the investigation, assessment and management of potential risks posed by ground gases and vapours both under redevelopment and Part 2A regimes! This “Introduction to the assessment and management of ground gases and vapours” course will be run for the first time in Nottingham on the 18th May 2016. Brownfield Briefing, together with Land Quality Management Ltd, is hosting a series of four premium Executive Briefing webinars, teaching delegates how to approach a range of challenging substances in contaminated land – which all need different approaches when redeveloping brownfield sites. Each 2 hour webinar costs just £97 (£87 for Brownfield Briefing subscribers or £49 for local authorities & other public bodies booking via a .gov.uk email address). All prices exclude VAT. There is also a special offer if you book all four webinars together. To learn more about this series of webinar – click here. Anyone interested in finding out the latest information from around the globe on how to investigate, assess and manage these difficult contaminants is encouraged to book now and join the discussion!